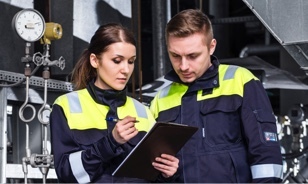 The Petrochemical sector has long been a user of Flame Resistant and Anti Static clothing for a whole range of employees in high risk roles. There is an ever-increasing obligation to protect more of your team and the guidance on how they need to be protected is evolving too. The Flame Resistant and Anti Static properties of ProGARM protective garments have always been the focus. But with a greater awareness to protect employees from Arc Flash hazards, especially those employees in industrial electrical environments, our garments can provide Arc Flash protection too. 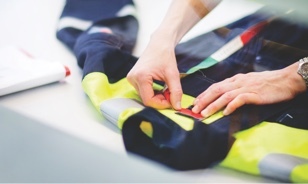 ProGARM’s range of garments include many that conform to EN 13034: Protective Clothing Against Liquid Chemicals. These garments protect against chemical splashes and are manufactured to the same exacting standards as the entire ProGARM range. This includes special attention to the components, which are as resistant to flames and spills, as the rest of the garment. ProGARM garments also deliver comprehensive protection against an Arc Flash or flash fire incident. Watch the video below to see the instant extinguishing qualities of VXS+ fabric in action against other popular petrochemical garments. ProGARM offers the ultimate in Arc Flash and Flame Resistant protection. We aim to develop garments with features and with a great fit that your team can wear comfortably. 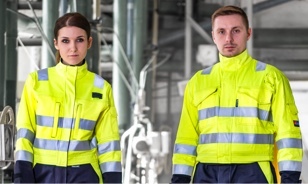 Many of our clients agree our garments are “as comfortable as pyjamas”, so you know your team will be happy to wear their Arc Flash and Flame Resistant garments, and you can be reassured they are protected every day. ProGARM is the cost-effective choice for your teams as protection and comfort doesn’t have to be expensive. You benefit from the reassurance that comes with our Lifetime Seam Guarantee and our clients have told us our garments can last as much as 70% longer. We know that you keep our wheels turning. Our goal is to help you do it safely.